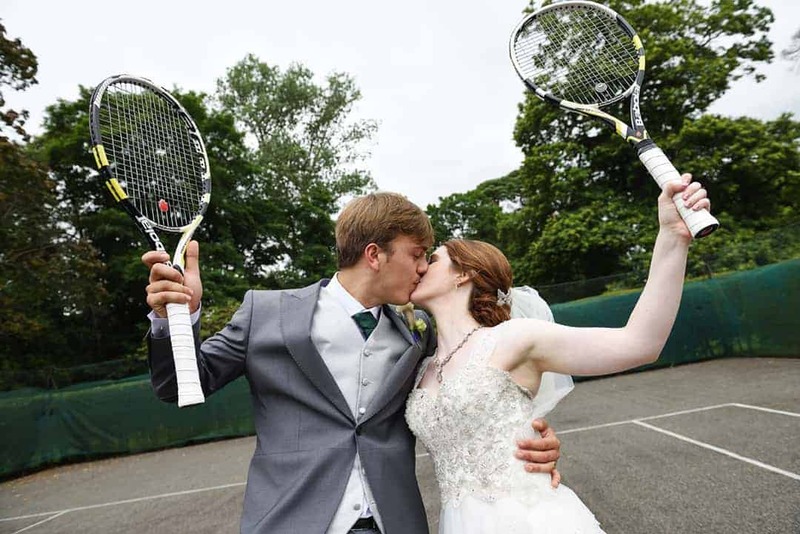 What do you do when your future husband is tennis mad? Embrace it! That’s what our gorgeous bride Hayley did! From the purple and green colour theme, right through to actually playing tennis in her beautiful dress! Hayley wore a stunning Ellis Bridals dress which sparkled and shimmered, it originally came as strapless, however we added some Amanda Wyatt straps which we keep in the boutique, add a beautiful sparkly veil and some statement jewellery and Hayley was ready to meet her man! We love this comment especially after seeing Hayley’s pics of her playing tennis!